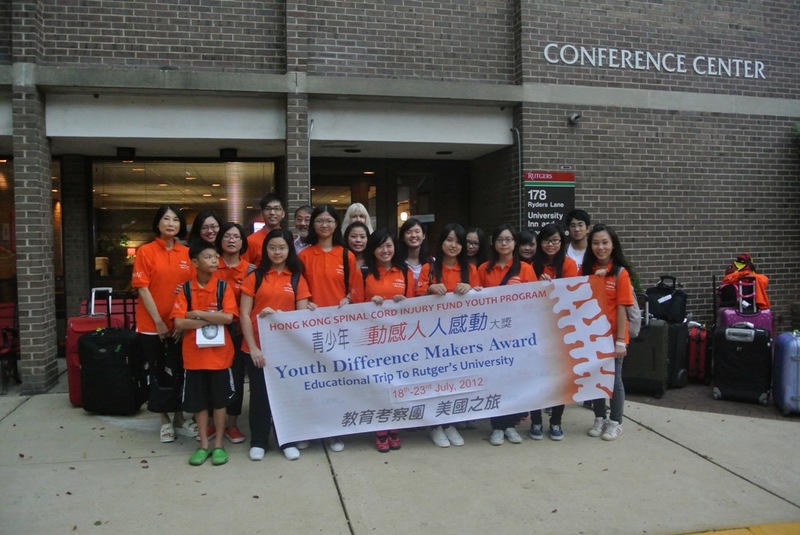 The 10 YDMA awardees were awarded an educational trip to US in July. They experienced a fruitful educational trip in Rutgers University, USA which offered them an eye-opening opportunity to visit Keck Center and Children's Spinal Cord Rehabilitation Hospital to learn more about spinal cord injury as well as attractions in New York City and Philadelphia. As the plane safely brought the awardees back to Hong Kong, the YDMA scheme successfully completed while the spirit of "being a Difference Maker" continues since the seed has been planted in all the participants and keeps growing.